Following last night’s Obama farewell speech, Laura Ingraham took him to task on his BS, acting and revisionist history. If anything sums up Obama’s 8 years, its LOST OPPORTUNITY. She puts her finger on the real Democrat problem, Obama was a once in a life time politician who in the end destroyed the Democrat party. Last night Barack Obama gave his farewell speech as President of the United States from Chicago. Yes Virginia, there is a Santa Claus. One could only laugh as this is about the only thing that Obama could do correct in the last 8 years and that was campaign and talk about himself. Although, at the outset when trying to calm down the appreciative and partisan crowd, he sounded a bit porky-piggish without the aid of the TOTUS. When the crowd finally took their seats, Obama did what he does best, talk about himself and describe the country and what his administration did to the United States with revisionist history. I have news for you Mr. President, no you didn’t. Barack Obama had the unique opportunity as the first elected black person as president to do some amazing things. Instead, Obama was nothing for than a far LEFT ideologue who ruled by fiat, and by a pen and a phone. You decimated the Democrat party under your 8 years as they find themselves in the minority in the House and Senate, governorship’s and state house. America is as decisive as it has been in years as Obama pitted black vs. White, rich vs. poor. Obama’s foreign policy was a disaster. Maybe one has to look no further than the unicorn and gum drop part of Obama’s speech where he lectures us about being open and not retreating to our own bubbles. 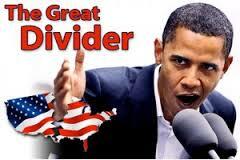 Obama lecturing We the People about compromise, seriously? This from the man who told Republicans that elections have consequences and then pursued to ram the disaster that is Obamacare down the throats of the American people who never wanted it, not supported it. 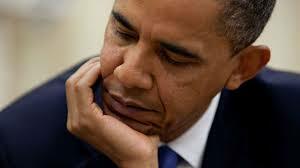 All of a sudden now, after 8 miserable and long years, Obama wants debate, discussion and compromise. 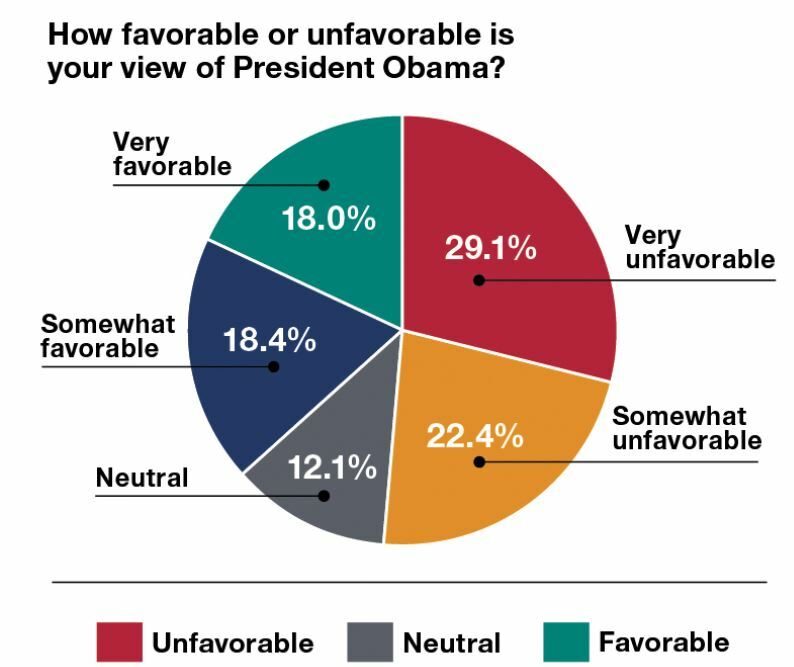 The Military Times reports that a recent Military Times/Institute for Veterans and Military Families poll shows that the military has a 51.5% unfavorable rating of Barack Obama, while only 16.4% have a favorable one after eight years. 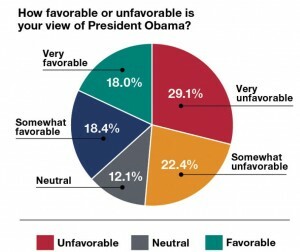 Who had the most unfavorable opinion of Obama of all of the branches of the military, the Marines at 60.3%. The biggest criticism of Obama’s time in office was that he decreased the size of the military while in office, as 71% of those polled said the military needs more personnel. Red State opines that back in 2014, 65% of post-9/11 veterans had a favorable opinion of former President George W. Bush, calling him a good Commander-in-Chief, as opposed to about 42% at that time for President Obama. President Barack Obama will step down after eight years as commander in chief with one of the most influential tenures leading the U.S. military, but not necessarily the political support of service members. His moves to slim down the armed forces, move away from traditional military might and overhaul social policies prohibiting the service of minority groups have proven divisive in the ranks. His critics have accused him of trading a strong security posture for political points, and for allowing the rise of terrorists like the Islamic State group whom the wars in Iraq and Afghanistan were supposed to silence. HASN’T HE DONE ENOUGH DAMAGE … SHOULD SOME ONE INFORM OBAMA THAT IT WAS HE WHO DESTROYED THE DEMOCRAT PARTY? According to The Politico, Barack Obama is retooling hos political operations and PAC’s in order to salvage his legacy and supposedly rebuild the Democrat party. The electoral college landslide victory by Donald Trump in the 2016 presidential race over Hillary Clinton was a repudiation of Obama and his policies for the last 8 years. Americans finally stood up and said, no more, enough is enough. However, Obama does not seem to have gotten that memo. Maybe its on Hillary’s private server. However, in order to save his legacy, Obama will not go gentle into that good night as most every other preceding president. Instead, the presidency of “I and me” will look to retool his PAC’s to make it once again about him. However, truth be told, it was Obama and his my way or the highway liberal LEFT agenda what decimated the Democrat party in the last eight years where they find themselves in the minority in the House, the Senate, the Governorship’s and the state houses. Oh yeah, and the lost the White House too. This is what happens when an unqualified individual who is nothing more than a community agitator, a liberal ideologue and who has no respect for the Constitution or We the People operates like a king instead of a president and thinks he can just do everything as he wishes. It is called a failed presidency. “The way he views his role is not that he himself, Barack Obama, is going to be out there giving fiery speeches and leading marches, but he wants to play a role in empower and lifting up the next generation of leaders,” said Jen Psaki, his White House communications director and an alum of both his presidential campaigns. REMEMBER WHEN OBAMA MOCKED ROMNEY DURING THE 2012 PRESIDENTIAL DEBATES … WHO WAS WRONG? From the president who brought us that ISIS was the JV also mocked Mitt Romney during the 2012 presidential debates that Russia was not a Geo-political threat to the United States. Obama in all his snark stated that the 80′s wanted their foreign policy back. Now Obama blames Russia for Donald Trump. Barack Obama, just how wrong could one president be? Now that the 2016 election is long over and online hackers have had ample time to cover their e-tracks, a bold President Obama has decisively ordered a “full review” of Russian and other interference in the United States electoral process. We should probably say alleged Russian interference since no one has offered any proof, just reasonable suspicions of who might benefit from the release of documents that Democrats wanted to keep hidden. The Trump campaign criticized the move. Again, no evidence. Democratic nominee Hillary Clinton, who was suggesting Russia and Donald Trump were in league to deny her rightful political inheritance, grasped the line. In fact, she often claimed that 17 U.S. intelligence agencies were certain it was the Russkies.